The Aloe Vera plant has many aliases — the Miracle Plant, the Medicine Plant, the Burn Plant and it is also known as the ‘harmonious remedy’ by the Chinese people, the ‘elixir of youth’ by the Russians and the ‘herb of immortality’ by the ancient Egyptians. It originated in North Africa and can now be found almost anywhere which has a mild climate. 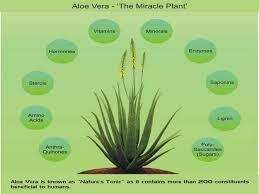 Vitamins present in Aloe Vera include Vitamin B, A, C, E and folic acid. It also contains calcium, selenium, zinc, magnesium, chromium and magnesium. 20 out of 22 essential amino acids are present in this wonder plant. 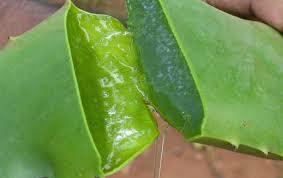 Peptides found in Aloe Vera help strengthen the immune system. This plant has a clear gel inside the leaves that is used for a multitude of purposes and it is easy to grow. 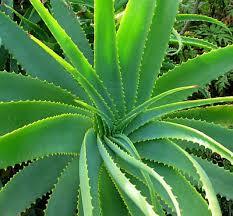 Aloe Vera is in the succulent family which is related to the cactus. You can keep it indoors or outdoors. Water when it’s dry but don’t water often. Like a cactus, succulents don’t like to have a lot of water. Outside, water every two weeks. Indoors, every three weeks or month (depends on climate where you live.) You always want real bright light, in the house — you’d want it in a window or a well lit room. Outside, you want to keep it in the shade, with no direct sunlight on the leaves. Aloe Vera’s reputation for healing, soothing and rejuvenating is evident in the many products now on the market. But it is just as popular to apply the sap directly to the skin, which is why more and more people are opting to grown their own.